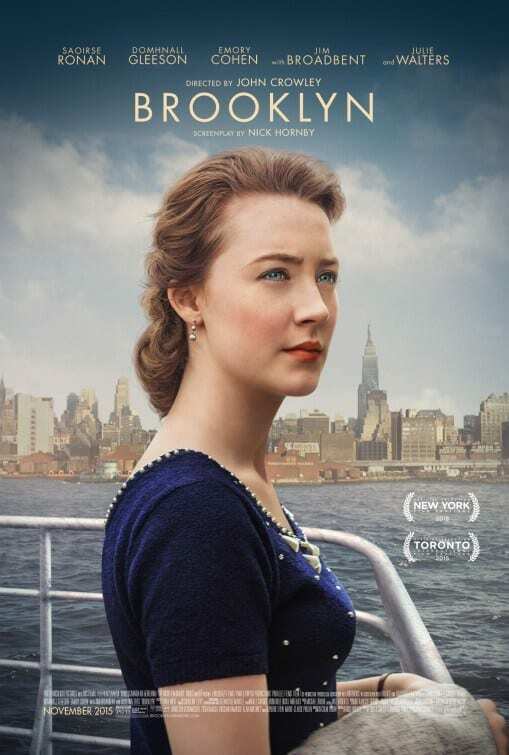 Marking a return to form for director John Crowley and featuring a brilliant cast, ‘Brooklyn’ is a film to be admired. The tale of a young woman in the 1950s called Eilis, who moves from rural Ireland to busy Brooklyn in order to increase her chances in life and the way she copes with the challenges avoids pitfalls that could have arisen for the most part, and benefits from a stunning central performance by Saoirse Ronan, who is quickly becoming one of the best actresses out there. It’s the sort of film that appears to be dying out these days, refusing to be drawn to oversentimentality or any real sense of over-the-top drama, preferring to try to portray life as it would have been, with largely refreshing results. Our view of America is tentative, like Eilis, and we see the towering landscapes of Manhattan from the ship she takes to reach her apparent promised land. For Eilis, though, the destination features far fewer skyscrapers and seems altogether less glamorous, the cosy streets of Brooklyn far less intimidating that Manhattan might have been. Also helping her settle in to her new surroundings is her new landlady, expertly played by Julie Walters in a scene-stealing performance as the loving but strict and acerbic Mrs Kehoe, a woman who is kind but does not take insubordination, chastising her charges with some blunt and often hilarious put-downs. Jim Broadbent is also brilliant as Father Flood, a priest who acts as Eilis’ sponsor and often confidante, striving to help her settle in to her different surroundings by guiding her in to realising life in America doesn’t have to be so bad. This leads us in to Emory Cohen, who plays Tony Fiorello, a young man who captures Eilis’ heart in a romance that could so easily have fallen in to annoying platitudes but is bolstered greatly by a heartwarming and amusing scene where Eilis meets Tony’s family and goes from strength to strength from there. The cinematography, by Yves Bélanger, is also a pivotal part of the film. The distinctions between Ireland’s stark beauty and the liveliness of New York are brought out through Bélanger’s subtle camera work and help us to get a sense of what Eilis is feeling as her life changes so drastically. It’s a mark of John Crowley’s sensitive direction and Nick Hornby’s thoughtful screenplay, adapted from Colm Tóibín’s eponymous novel, that the different parts of the film come together so well to make a whole that feels intricate and refreshingly low-key. 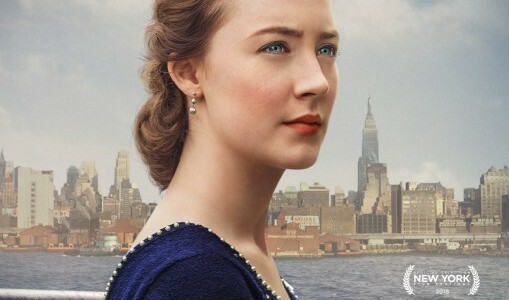 ‘Brooklyn’ does have its problems. The final third gets decidedly shaky in its narrative as the film sets out to provide one last spark before the end when you know it really didn’t need to, despite an always welcome turn from Domhnall Gleeson in a short but pivotal role. In this moment, the film loses sight of its understated, delicate, considered quality in favour of some melodrama, but we soon get over it because Ronan drags us back to the essence of a film that seeks to tell us about the difficulties of emigration and that sense of being torn between two homes, two cultures, and two lives.